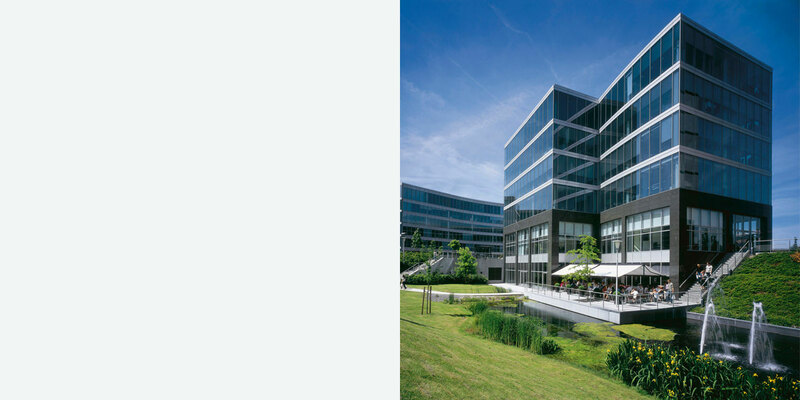 The 140.000 m² Corporate Village is the first integrated mixed-use ensemble comprising a high-end business park, a luxury hotel and retail, all within a vast 3.5-hectare landscaped park with walking promenades and a pond. 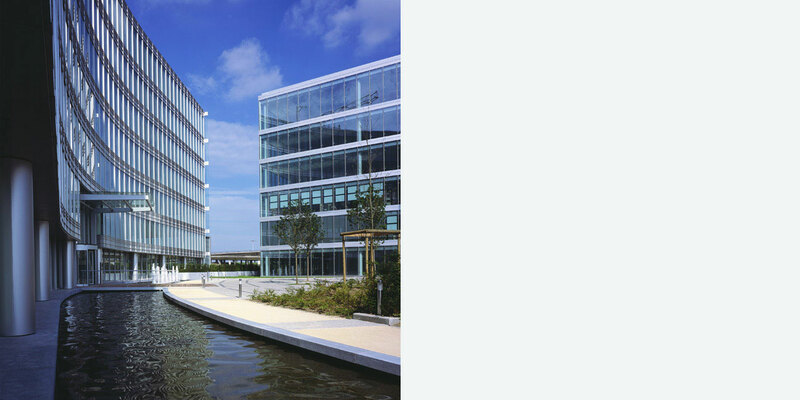 With building units up to 12-storey, the Corporate Village is also the first project to break the historic low-rise height limits in airport surroundings and is actually still the tallest and largest project in the area. 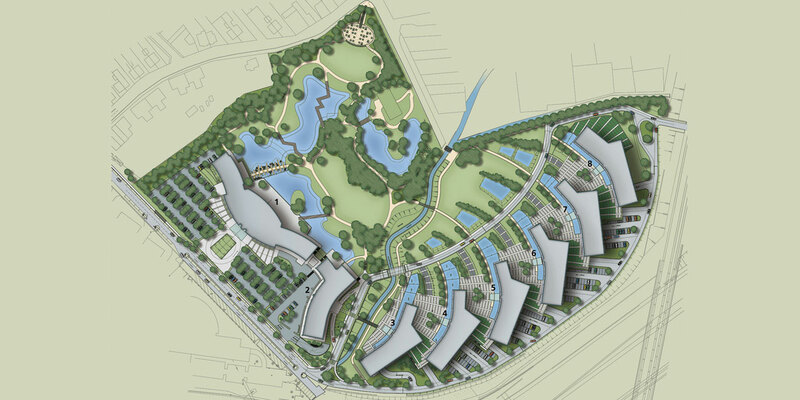 All the individual buildings are located at the periphery of the site, creating an efficient sound barrier while allow space for a large park. 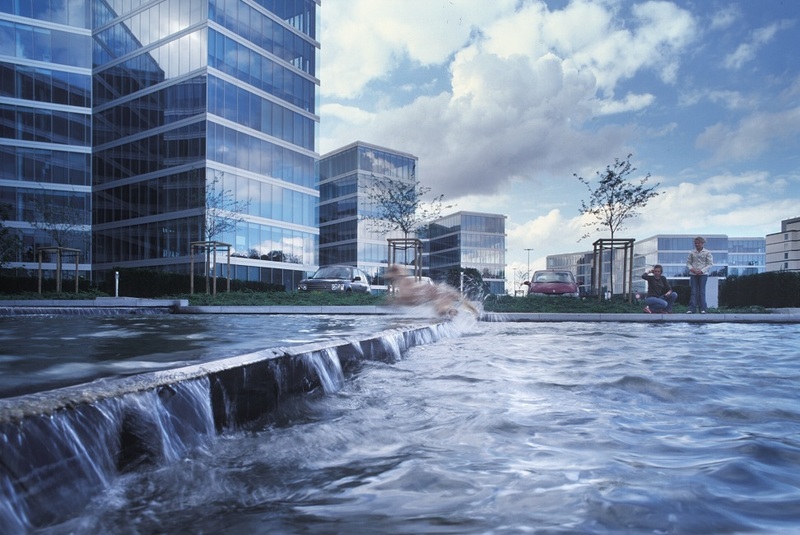 Each of the office buildings has an access via private driveway, while 1.500 parking spaces are provide in the underground garage with ramps located along the external perimeter of the project. 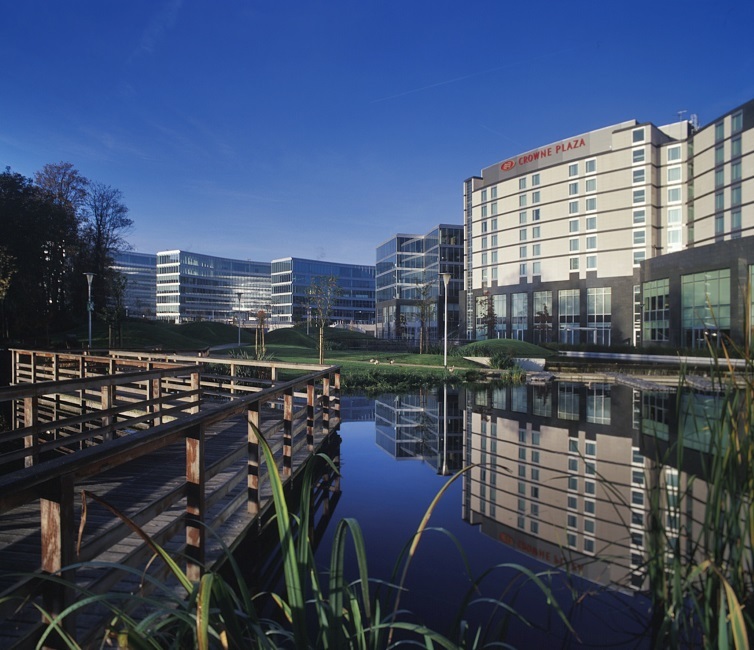 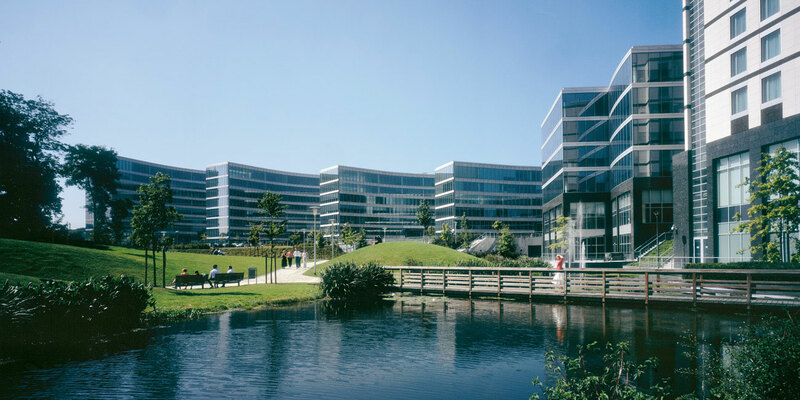 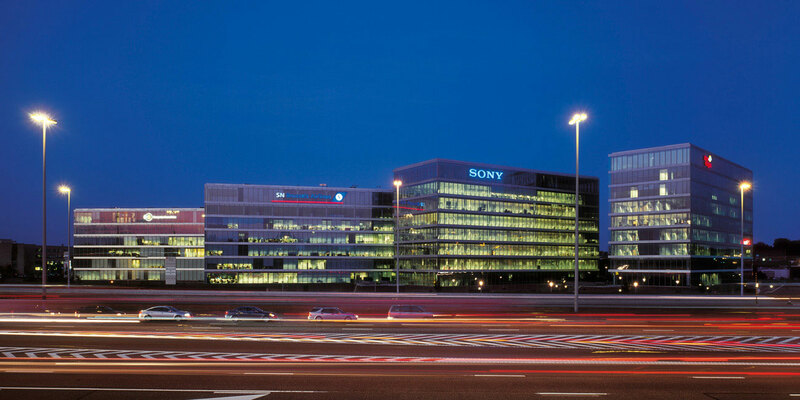 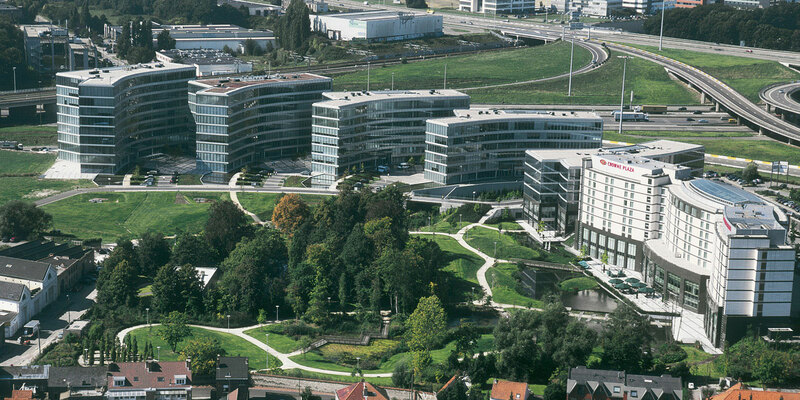 The Corporate Village is the Belgian headquarters for companies like Atos Origin, BDO, Microsoft or Sony. 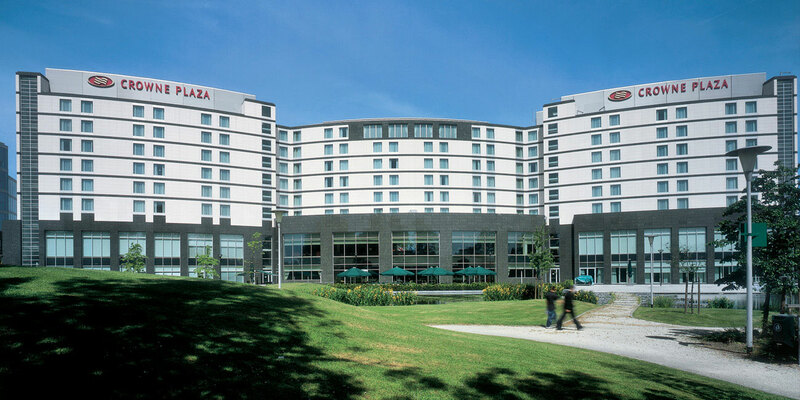 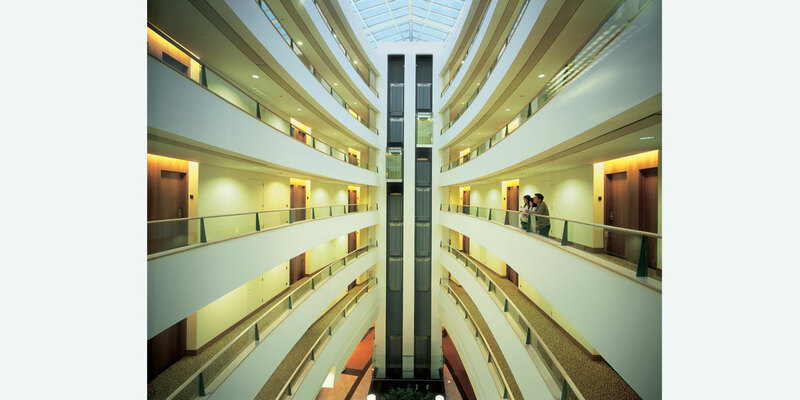 Eventually, the 20.000 m² square Crowne Plaza Hotel with its naturally lit streamlined 7-storey soaring atrium, had become the meeting point in the airport business district for both international and local visitors.